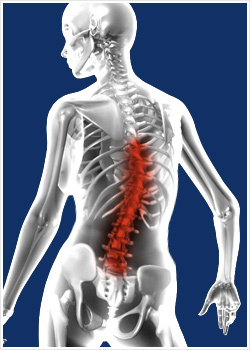 Traumatic injury to the back can be either accidental or intentional. A large number of lawyers make their living out of the fact that the distinction between accident and intention is a gray area in which negligence and legal responsibility play key roles. Similar ambiguity is present in the idea of mis-, or over-, use. Is the problem due to ignorance or neglect? Also could an injury which appears to happen suddenly, such as straining your back shoveling snow, just as easily be seen as the painful culmination of too much time using improper shoveling technique (mis/over-use)? Certainly, especially if the problem recurs. The good news is that by far the most common cause of low back pain is mis/over-use. The reason this is good news is that this kind of low back pain is by far the easiest to treat successfully. 3. establishing proper movement habits. We’ll handle these steps in the next three articles.